Brother VX1435 is a horrible sewing machine. You will run into a lot of trouble with this machine. Not recommended at all. Brother VX1435 is a pretty basic sewing machine for beginners. It is one of those entry level, low cost models from Brother. 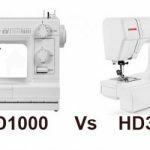 To be honest, you will be better of not expecting too much from this sewing machine. Brother itself says that this machine is for basic mending and sewing. This is not a machine for you, if you really want to take sewing seriously. Brother VX1435 is a mechanical sewing machine with 14 built-in stitches and 35 stitch functions. I have seen some online stores saying that this one has 35 stitches, no it is wrong. It has 35 stitch functions alright, but only 14 built-in stitches. The buttonholer is automatic 4-step. There is an LED work light, which is not that great to be honest. This machine has a maximum sewing speed of 900 stitches/minute, which is pretty decent. This is free arm capable as well. This sewing machine belongs to the lightweight category, so portability will never be an issue for you. It comes with 25 year limited warranty. 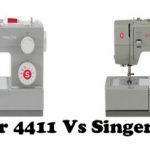 I would probably say no to Brother VX1435, if you are really serious about sewing (not even for non-serious sewers for that matter). This machine doesn’t provide much room for creativity and there are hell of a lot of issues with this machine. 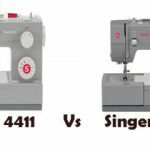 I have reviewed over 30 sewing machines from Brother to date and this is the worst I ever came across. Thread jamming, stitch skipping, bobbin clogging, you name it. Skipping stitches have been a head-ache with Brother VX1435. Lot of readjustments, thread changing and bobbin changing didn’t seem to solve the issue. The 4-step buttonhole doesn’t make things any easier. This machine seems to work well for a short while and after couple of days use, it will start showing its real face. Brother VX1435 might just work for you, but buying this machine is a huge risk. In most cases, you might just end up wasting your hard earned money. Yes it is inexpensive, but why would you want to spend that much amount of money for a not so great machine. 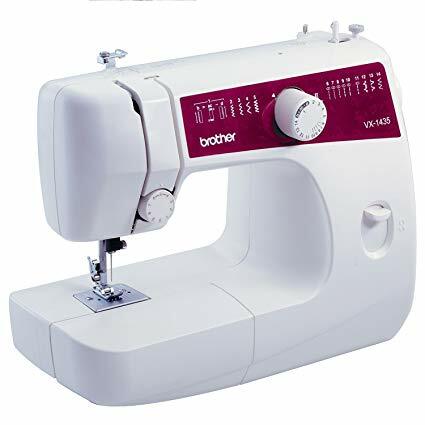 One alternative model I can suggest is the Brother XL2600I, which comes with 25 built-in stitches and 1-step buttonhole. It has a lot of extra features. 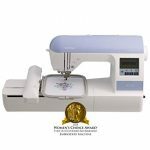 Moreover, it ranks 2nd in the list of ‘Best Sewing Machines Under $200’ published by Sewing Machine Reviews. 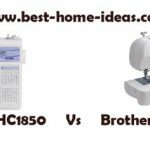 Brother XL2600I costs couple of dollars more than Brother VX1435 at the time of writing this review. It is not a huge difference and will be worth the extra money.